PEEF Scholarship is a financial aid package started by the Government of Punjab to attract brilliant students from Punjab and help them financially to share their education burden. This Scholarship program was started from the year of 2008 and the Chair Person of this fund is the CM of Punjab Mian Shahbaz Sharif. The main objectives of inaugurating this stipend package are to share the financial load with the deserving students and make them educated for serving their Country. plz tell me …which students are eligible for this scholarship? I am a gov. teacher daughter and I am a student of fsc pre (med) part 2.I GOT 82% in matric and78% in fsc part 1……am I eligible? plz guide me……………. Yes, you will eligible to apply for PEEF Scholarship. Children of Government Teachers from BS1- BS4 apply for scholarship. I am studying in COmsats university and in 5th semester with 2.76 cgpa,would you please elaborate that is their any possibility to get this scholarship? If your Father income is less then 15,000 then you will eligible to apply for Peef Scholarship. my brother is also my class fellow . He is in pre(eng) part 2 …is he eligible??????? If yes then plz guide us how to aply for this scholarship??????? If you parent income is less than Rs 15,000/- then you eligible to apply for this scholarship otherwise not. aoa,sir m 24 years old..kia mh schlrshp k lia aply kr sakti hun? Yes, you will eligible for PEEF Scholarship. If you study in Public Universities which is affiliated to PEEF. Check the list from official webpage of PEEF. If your institute is list down in PEEF affiliated institution then you will eligible to apply for this scholarship. You will eligible to apply for PEEF Scholarship if you will studied in Public Sector Universities which is affiliated with PEEF. Student study in Private University or College will not eligible to apply for this scholarship. sir, i am studying in f.g college i am student of fsc part2 . i want to apply for this scholarship how can i? PEEF Scholarship will be offered in Public Sector Universities. List of universities will be mentioned in the website. You will see the name of the institution form the website. You will apply for PEEF Scholarship through you universities. List of Public Universities will be mentioned in the official webpage of the PEEF. Yes, you can eligible to apply for PEEF Scholarship. 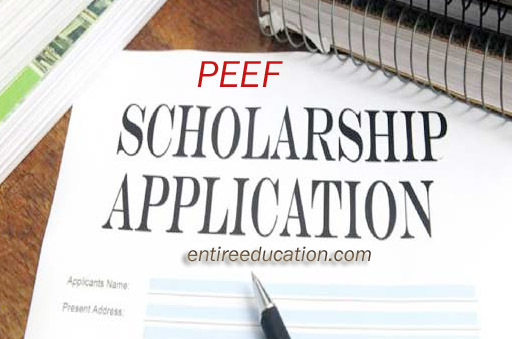 You apply for PEEF Scholarship through your college. 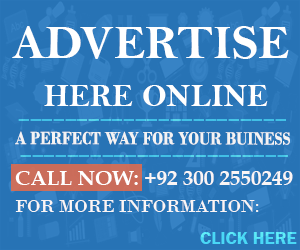 You need to contact with admission cell of your own university. i’m studying in UMT. i need scholarship.how could i get this scholarship. UMT is a private university and it’s offered own scholarship. what is the last date of PEEF Scholarship and can i apply online for this scholarship? You will apply for PEEF Scholarship through your institutes’ admission cell. New PEEF Scholarship expected to announce in the month of Sep/Oct. Mai bsc k stdnt ho meri frnds ko scholarship mil rhi ha fsc mrks p mere 70% ha 60% se above mrks wale bcho ko mil rhi ha bc unho ne gov clg se fsc k ha but mai ne private clg se k ha kya muje mil sikti h k ? AOA i have passed my inter in 2018 and got 969 marks 88% and in maatric i got 1007 marks 92% my father monthly income is 15000 .i got this peef scholarship after matric can i get this scholarship this year to study in university? Sir i am currently a student of MCs in punjab university lahore.and my father income is less than 15,000. How can i apply?? Please tell the procedure and what documents will be needed?? ?